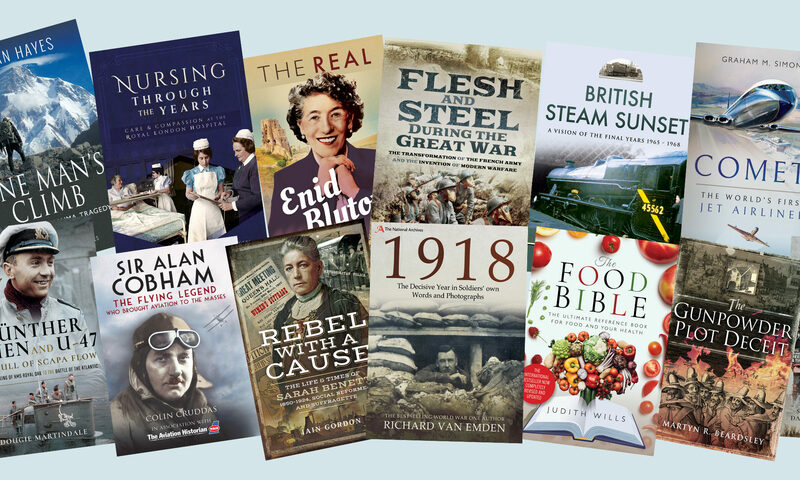 Today we have a guest post from Pen and Sword author, Helen Barrell. 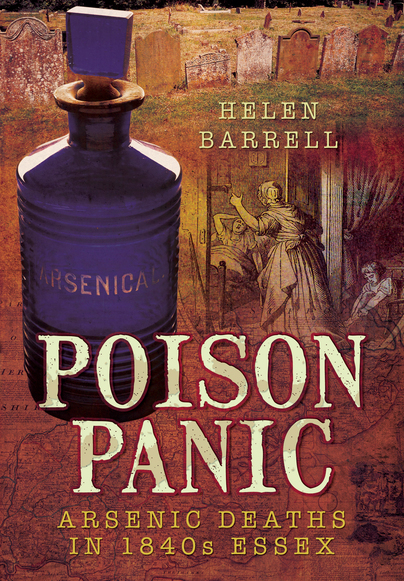 Helen is the author of Poison Panic and Fatal Evidence. Here Helen discusses the case of Sarah Chesham who appears in both of her titles. Enjoy! If you’ve been watching the new series of BBC1’s Murder, Mystery and My Family, you’ll have encountered the case of Sarah Chesham, or “Sally Arsenic” as she became known, the wife of an agricultural labourer who stood trial four times accused of poisonings. Sarah Chesham appears in both my books Poison Panic and Fatal Evidence. It’s my view that Sarah’s last trial was unfair and that she shouldn’t have been hanged, so I was really pleased when I was contacted by the makers of Murder, Mystery and My Family. I’m clearly not alone in thinking there was something very wrong with what happened to Sarah Chesham, and I was hopeful that the former Appeal Court judge in the programme would agree. It all started in 1846 when a young woman called Lydia Taylor accused Sarah of trying to poison her baby. Locals remembered the sudden deaths the year before of two of Sarah’s sons. Their symptoms of severe vomiting and “purging” were attributed to English cholera (which we’d perhaps call gastric flu or food poisoning today) and at the time no investigation was made. But with Lydia accusing Sarah of attempted murder, her sons were exhumed. Alfred Swaine Taylor performed the examination, a forensic scientist so famous in his day that he became a household name and even Charles Dickens visited his laboratory. He appears to be one of several men in his field who inspired Sir Arthur Conan Doyle to create Sherlock Holmes. He found ‘yellow arsenic’ in the stomachs of Sarah’s dead sons – and this meant that in life the boys had swallowed ‘white arsenic’, the kind that was so easy to buy at the time before poison sales were restricted. Sulphur released by the body as it decomposed had blended with the ‘white arsenic’ turning it yellow. By the 1840s, tests for arsenic had been developed which were more reliable than the tests of the past. But while Taylor’s results and his interpretation of the boys’ symptoms indicated that they had died of arsenic poisoning, his tests couldn’t prove how the boys had ingested the arsenic to start with. And when Lydia Taylor’s baby passed away, Taylor analysed the child’s remains and couldn’t find any sign of poisoning. Sarah went on trial three times in two days and was acquitted. While it was clear her two sons had died of arsenic poisoning, there was no sound proof that Sarah had administered it, or a motive as to why a loving mother should kill her children. When Sarah was tried for poisoning Lydia Taylor’s baby, the prosecution counsel withdrew the case after medical evidence was given. So Sarah was cleared of the charges against her, a free woman after spending several months in prison awaiting trial. But the cases had caught the public’s imagination. Before the trials, The Times had run excoriating editorials claiming she was ‘a murderer for hire’ and novelist Edward Bulwer-Lytton had written a sensational novel about a poisoner called Lucretia Clavering – cashing in on the Sarah Chesham cases as Clavering was the name of Sarah’s village. 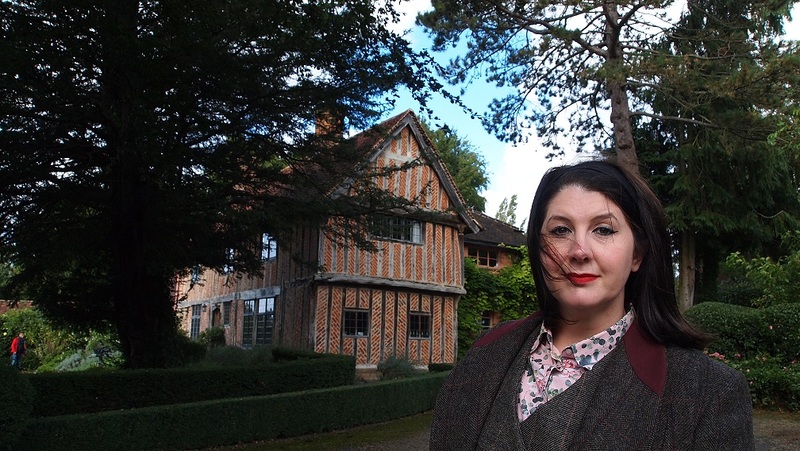 The stain never washed off, and while other apparent poisoning cases were unearthed around the country – and several of them were in Essex, where Sarah Chesham lived – newspaper editors reminded their readers of Sarah’s cases each time. When Sarah’s husband Richard died in 1850, the diagnosis of tuberculosis was not accepted by some. Taylor had performed an analysis and found a tiny amount of arsenic in Richard’s body, and a huge amount in a bag of rice retrieved from Sarah’s house. An inquest was held but the jury of locals decided there was no need to refer Sarah to trial. However, the police and the coroner didn’t agree. Sarah had no idea that, for several months, a secret investigation went on into Richard’s death, looking for evidence that would prove he had met his death by unfair means. At the National Archives, there’s an astonishing document in an unassuming buff folder which records some of the secret investigation. In it, Taylor warned them that the amount of arsenic he had found in Richard’s remains was far too little to warrant a murder charge, although he explained its presence by suggesting Sarah had fed him small amounts of arsenic over a long period of time, weakening an already flagging system. And it records too the evidence of a local woman who had claimed to be Sarah’s friend and told them that Sarah was offering to poison troublesome husbands for women in Clavering. She even claimed that Sarah kept a stash of arsenic in a tree stump and admitted she had shouted “Sally Arsenic!” at Sarah in the street. Had Taylor not found any arsenic in Richard Chesham’s remains, one wonders if the vast amount of arsenic found in the bag of rice would have led to Sarah being tried anyway. Although arsenic is naturally occurring in rice, there was so much in the bag taken from Sarah Chesham’s house that it was visible to the naked eye as powder caking each grain. Either the arsenic fell in by accident – and someone died in Suffolk around this time after arsenic fell into the family’s bag of flour – or it was added on purpose. And if it was intentional, then it was added either by Sarah Chesham in a bid to murder her husband without a care for the safety of anyone else in her house, or it was added by someone to frame her. When Sarah stood trial in 1847, she had a defence counsel. But in 1851, there was no one to defend her – she certainly didn’t have the means to pay for a defence team herself. Perhaps because the charge was attempted murder and because the stiffest sentence it carried was life imprisonment or transportation for life, someone somewhere decided that because a life wasn’t at stake, they could spare the county some expense. But they hadn’t reckoned with Lord Justice Campbell, who presided over the trial. And with that, rather than be sentenced to prison or transportation, Sarah Chesham was condemned to a public hanging. A couple of months after Sarah’s execution, an Act was passed to restrict the sale of arsenic – perhaps Sarah’s trial had been useful for those who wanted to see the Act come into law. I don’t think it’s possible at this distance of time to say definitively whether Sarah Chesham ever poisoned anyone. But what I do believe and have since I first read about her cases is that Sarah final trial was grossly unfair. And I was more pleased than I could say to see the barristers and the judge on Murder, Mystery and My Family agree. Stephen Jakobi, founder of Fair Trials Abroad, also believes Sarah Chesham suffered a miscarriage of justice, and you can read his take on the case in his book Misjudged Murderesses (published by Pen & Sword in November 2019). Of course, looking back to the past we will sometimes see injustice, especially when measured by the way investigations and trials are conducted today. But Sarah’s last trial is so astonishingly one-sided, a conviction based on evidence that wasn’t enough to secure a murder charge, that her hanging cannot be seen as anything less than judicial murder. Poison Panic is available to order now from Pen and Sword. 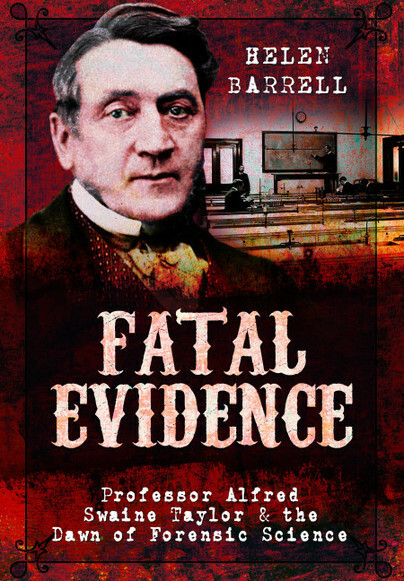 Fatal Evidence is available to order now from Pen and Sword.